KC Brains Afghani Special is a new marijuana seed from the KC Brain industry. It's a mostly indica stable hybrid of so popular Afghani and a new Double Afghani cannabis. Despite of her enormous size when grown outdoors (some cannabis growers cultivated plants as tall as 3 m), Afghani Special is a considerably loved strain, as she reminds cannabis smokers of the good old happy days. 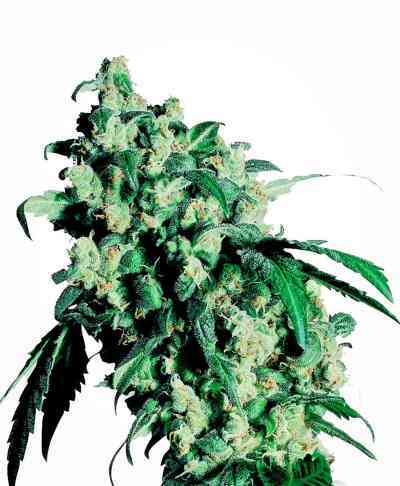 Afghani Special cannabis seeds can be easily grown indoors or outdoors. Indoor growing plants have average size and will not grow higher then 120 cm. She also performs incredibly well in hydroponics setups. KC Brain cannabis seeds are all hand selected and thoroughly tested for their qualities, almost 80% of germination is guaranteed. They produce strong sturdy plants with wide, round and fat leaves of an intense dark green shade. Like any other indica dominated marijuana, Afghani Special has quite a short flowering period, the buds start their formation in 6-9 weeks when grown inside. Outside plants begin flowering at the end of September. Her seeds arrive and bud almost instantly. 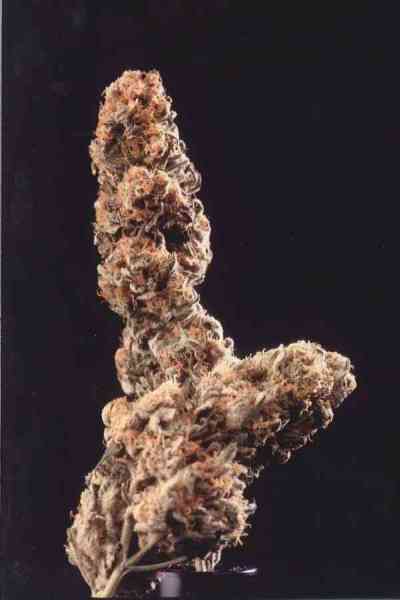 This marijuana variety tends to be very bushy but will yield large amounts of very sticky buds. The average yield is 400 gr. per m2. You won't see many crystals, but has a rich smooth and sweet, hash like smoke and taste. Growing indoor or outdoor, Afghani Special can be quite easily managed and make an ideal strain for beginners. Mountainous conditions over thousands of years have produced a very stocky, sturdy and disease resistant cannabis plant. On top of all these high qualities, Afghani Special contains a large amount of THC (15-20%). Typically, this KC Brains indica's high is a pleasant body buzz. It's great for relaxation, stress relief, and for an overall sense of calm and serenity. She is also very effective for overall body pain relief, and often used in the treatment of insomnia. They are the late - evening choice of many smokers as an all - night sleep aid. It's not recommended to overdo. Afghani Special as it may cause the "couchlock" effect, enabling the smoker to simply sit still and enjoy the experience of the smoke.